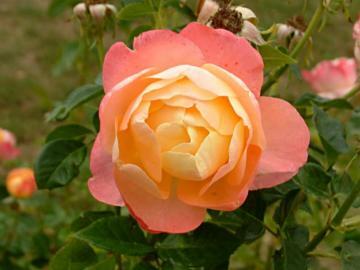 Double, delicately scented flowers, pale yellow in the centre with the outer petals becoming light salmony pink. Repeat blooming. Glossy deep green foliage with bronze tinted young growth. Raised by Monsieur Adam, La Guérinais, Liffré, France.